Hi Guys! Hope you all had a terrific, football-filled weekend. =) Our weekend included lots of football, but lots of relaxing around the house as well. It was definitely a much-needed reset from the past month. 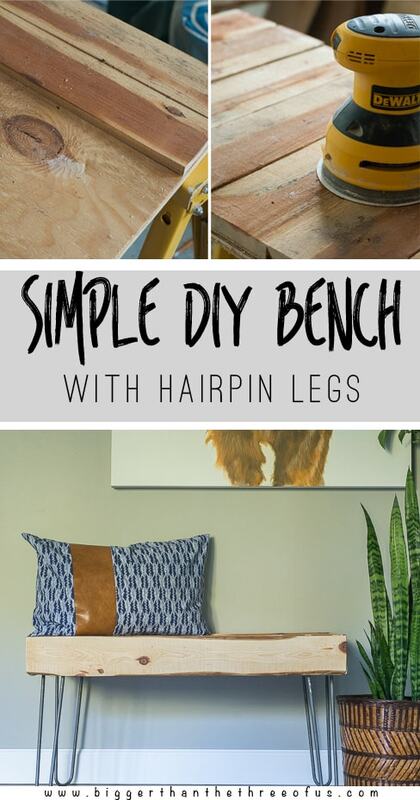 Today, I wanted to share a project that I made for the cabin… a rustic modern DIY Wood Bench with Hairpin Legs. I knew I wanted to do something with the leftover wood from the trim install. 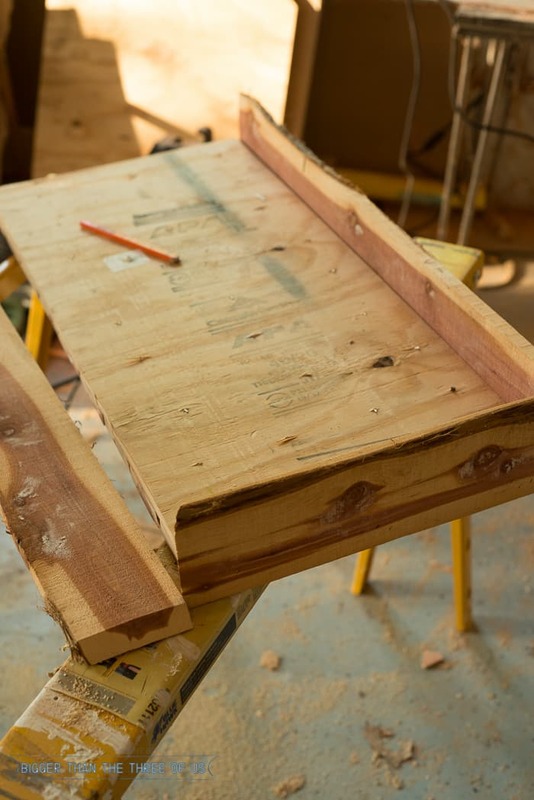 I thought about it for a bit and then decided to make a bench.The rough-cut cedar is exactly that… rough-cut; which gave me all kinds of issues. BUT, you should totally use this bench tutorial to make yourself a fun bench sized to whatever you want. A word to the wise though, it’s much easier to use wood that’s exactly the same size. I’m probably making it sound worse than it was. Actually, nope, it was bad. Take my advice and use boards with the same dimensions. Don’t you just love that grain? Ready to get on to the tutorial part? I’m not going to give you exact measurements because the bench can be whatever size you want it to be. Just use these steps to create one for yourself. 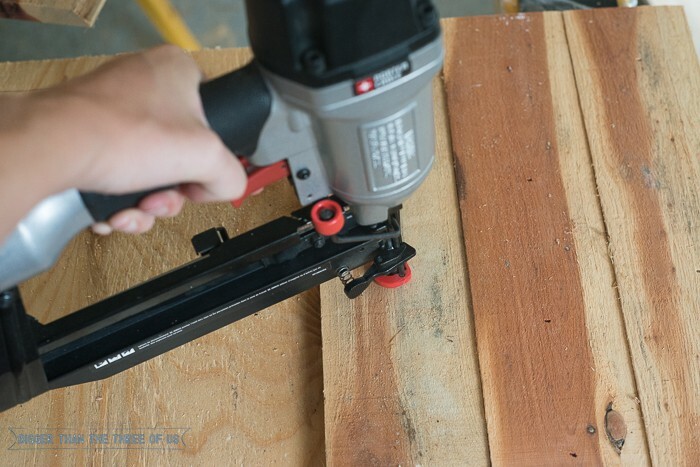 Cut a piece of 3/4 ” plywood to the size that you want. I did this with a jigsaw but you could do it with a table saw or circular saw. 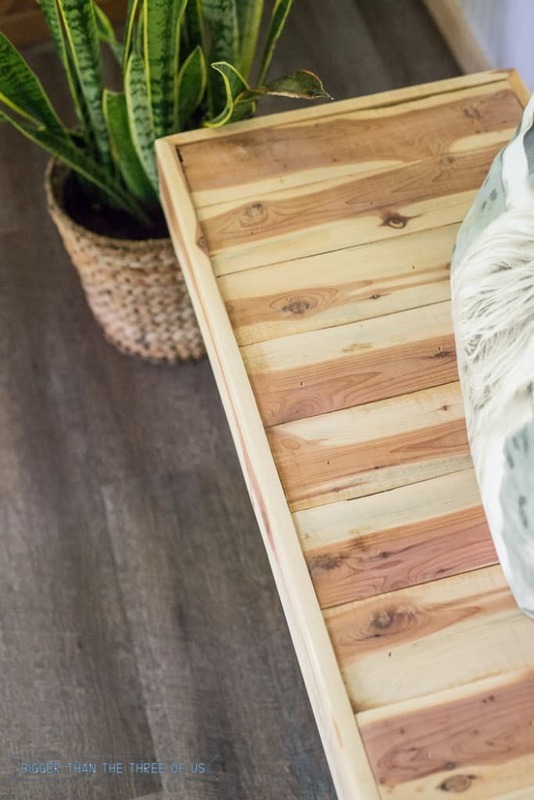 *One thing to take note of here, round your plywood dimensions up or down to the exact width of however many planks you use in the next step. 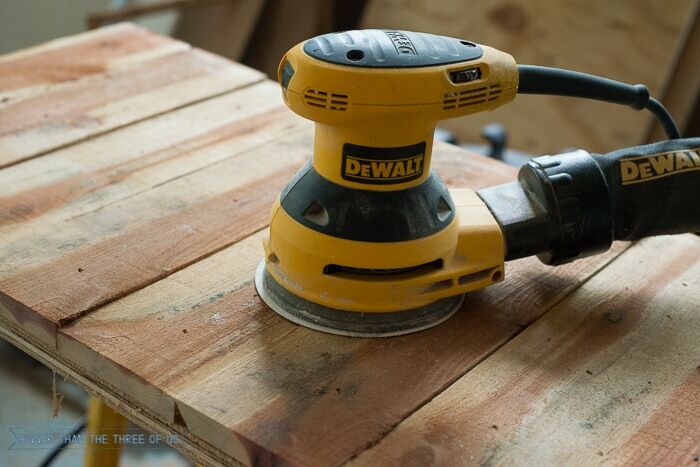 This will save you extra cuts on your planks. 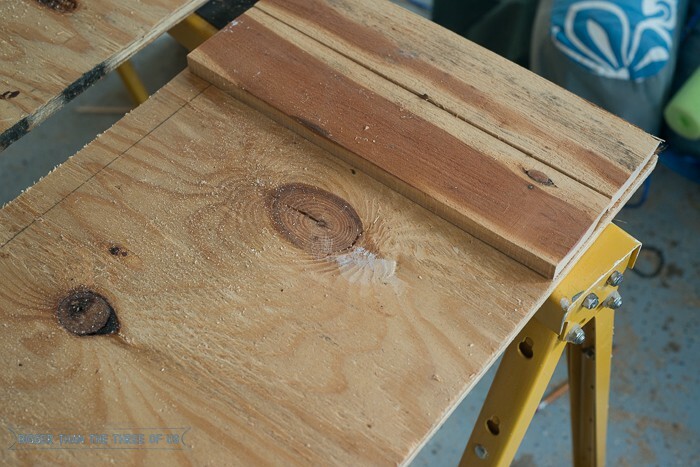 For example, if your planks are 4″ wide, a bench that is 44″ or 52″ wide (both multiples of 4) would lighten your workload. 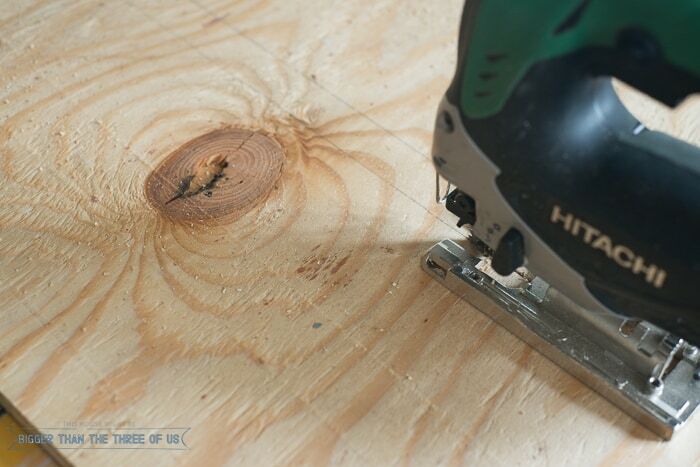 With your scrap wood pieces, or store-bought pieces… measure and cut to match the width of your plywood. I cut my pieces on the miter saw but, again, you can pick how you cut yours. 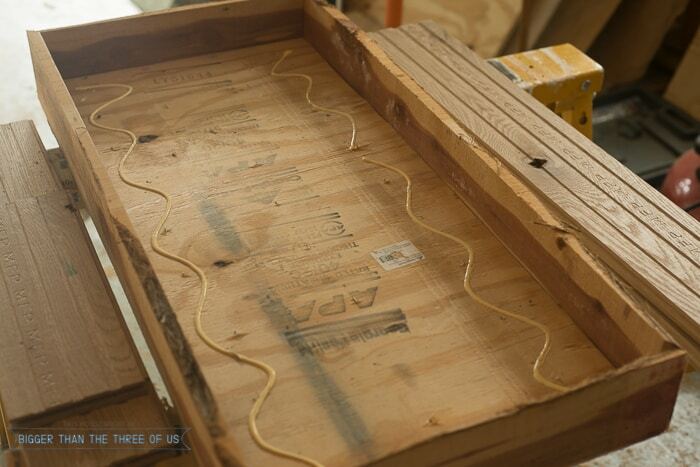 Add glue on top of the plywood, place each cut board on top of the glue and then nail down using a nail gun. 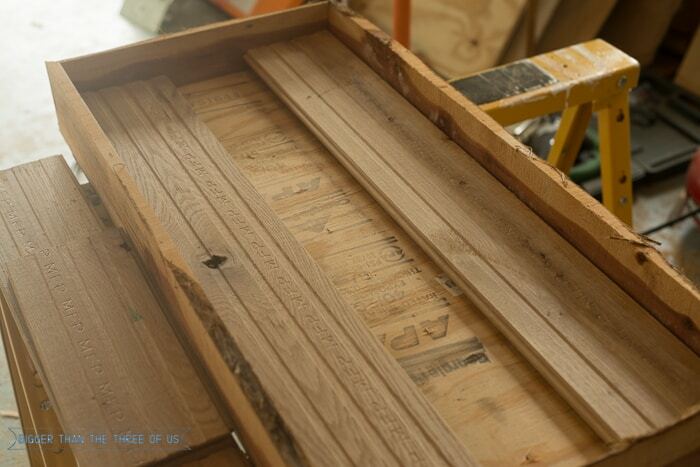 Once you have secured your top, sand the whole thing. Start with a rough grit and work your way up to a fine grit. Now, it’s time to work on the sides. For the side pieces, I used the same pieces that I used for the top and just cut them at 45 degrees. I nailed them in just like I did on the top pieces. To give the bench extra stability, I reinforced it with some leftover hardwood pieces we had laying around. I added wood glue and nails to secure the two pieces. Add your hairpin legs and call it a day. The hairpin legs are so versatile. 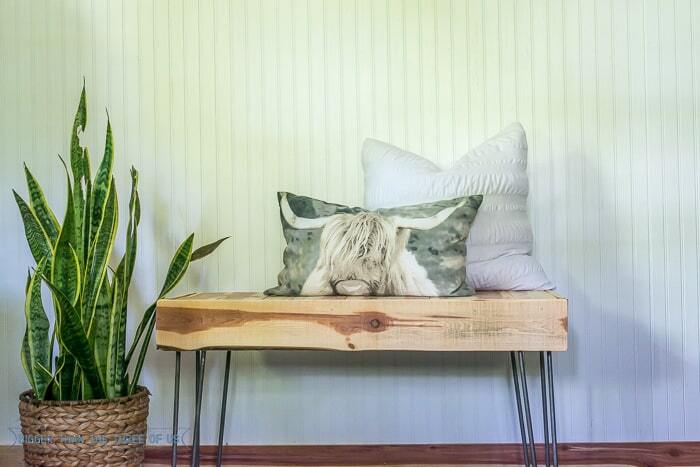 I made the bench for the cabin and styled it there (as you can tell) but I have more of a modern aesthetic and they totally go with that as well. 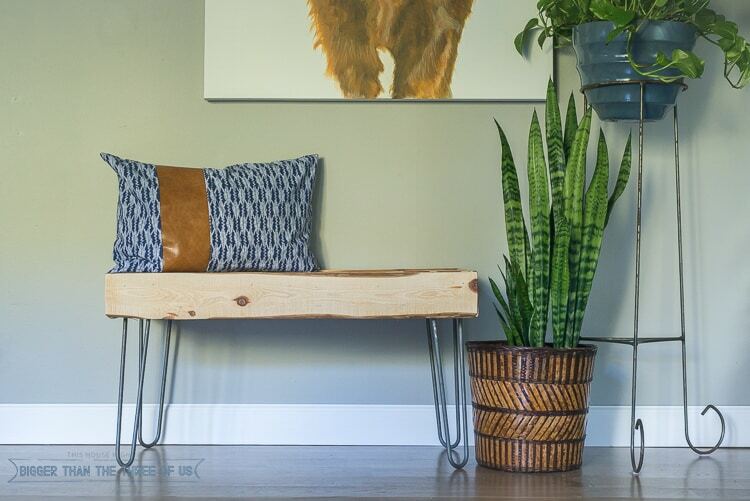 The rough cedar does lend itself to a more rustic look but I wanted to play around with styling it in my home… just for fun! It’s going back to the cabin but I do think there could be room for a Rustic Modern DIY Wood Bench with Hairpin Legs at my home as well. Maybe not quite as rustic as this one, but I could definitely find a spot for one! *This is not a sponsored post but Industrial By Design was kind enough to send me the hairpin legs for this project. 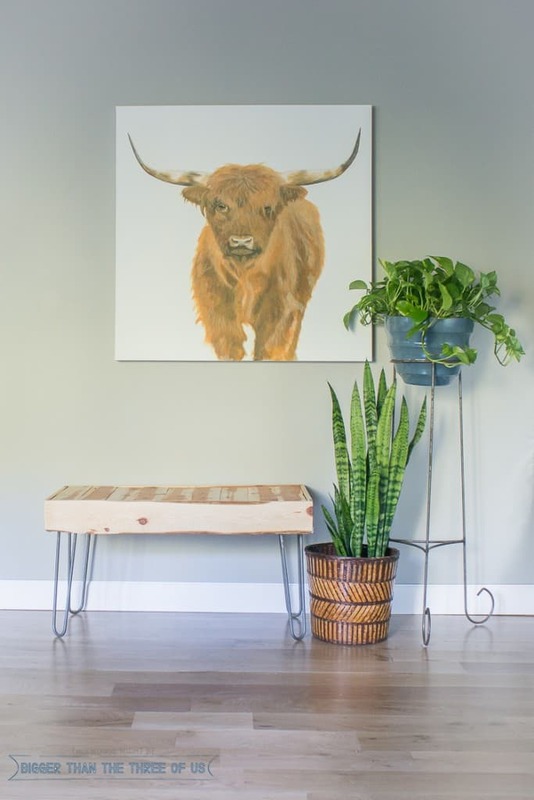 If you are in the market for hairpin legs, modern steel legs or pipe legs… head over and check them out. They are very affordable and easy to work with.